The Chicago Transit Authority and Pace has installed Ventra pay pads at its Davis Street Station in Evanston, Ill. to prepare for the new transit fare payment system set to launch later this summer, according to The Daily Northwestern. In September 2012, the Chicago Transit Authority and Pace together unveiled the Ventra open fare payment system to provide its customers with a flexible and more convenient way to pay for train and bus rides.The system enables more than 550,000 transit riders, including Evanston customers, to use a single Ventra card or their credit and debit cards to travel throughout the Chicago area. It will replace the Chicago Card and Chicago Card Plus next year. 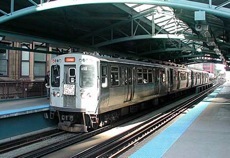 Riders can simply tap their card instead of having to insert it into the slot, which is expected to speed up boarding because it will be faster than inserting the current cards and waiting for it to register.Cardholders will be able to manage and add money to their Ventra transit accounts at CTA rail stations, online or over the phone. They will be able to buy the new cards at vending machines available in up to 2,500 retail locations in Chicago and surrounding suburbs. With the existing system, customers lose the transit value on their cards if they are lost or stolen. 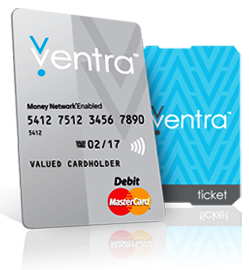 However, with the new system, if a customer registers an account with Ventra the money he or she deposits will be saved to a bank, so that if a card is stolen or lost, the bank can protect the deposit and prevent anyone from using the card. Located at 1612 Benson Avenue, and next to the Davis Street stop of Metra’s Union/Pacific North Line, the Davis station is also a terminus for three CTA and three Pace bus routes.